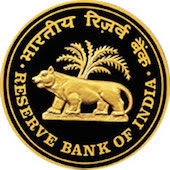 Online Application Details for Reserve Bank of India RBI Recruitment of 2 Medical Consultant is given below. Application form and duly attested documents are to be sent to Regional Director, Reserve Bank of India, Human Resource Management Department, Recruitment Section, Mahatma Gandhi Marg, Kanpur - 208001. In envelope super scribed with 'Application for the Post of Post Name'.